Sports are for all who chose to participate in them. Feeling safe and secure while doing so is important no matter your age, race, religion, gender or sexual orientation. In a move to support inclusion within all sports, not just within the realm of hockey, the Pittsburgh Penguins will host a "You Can Play" Night on Tuesday February 7 when they face the Calgary Flames. This is conjunction with the NHL designating February as "Hockey Is For Everyone" month. "You Can Play" is an advocacy organization that was founded by the NHL's Director of Players Safety, Patrick Burke, in 2012. Burke is the son of Calgary Flames president of hockey operations, Brian Burke. P. Burke's brother, Brenden, came out as a gay man in 2009. The groups main focus is to support and encourage safety and inclusion within sports for anyone who choses to be involved. This includes not only athletes that identify themselves within the LGBTQ community but also coaches and fans as well. The connection to the Burke's is the main reason the Penguins chose this game for their "You Can Play" Night. Group tickets also were made available to a the LGBTQ community, and tickets from Penguins players and corperate partners were donated to bring LGBTQ youth to the game. A student from CAPA High School will sing the national anthem. 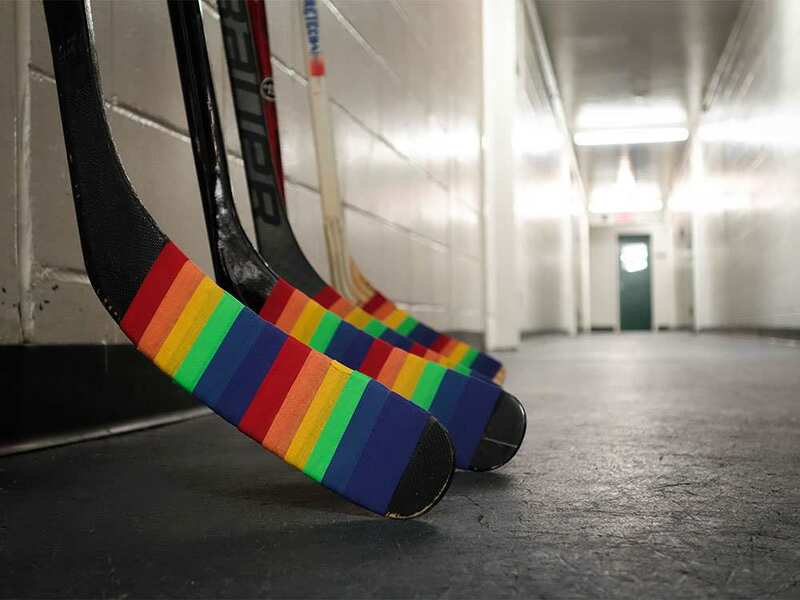 Various members of the Penguin's team will sport Pride tape on their sticks during warm ups for the event. After the game, the sticks will be autographed and auctioned off. All proceeds from the auction will go to the "You Can Play" organization. *Fun Fact: The Edmonton Oilers were the first team to begin using the Pride tape on their sticks which happened during an inner-team skills competition event on January 24, 2016.